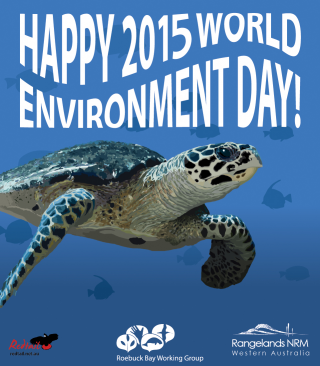 Keep your doings out of Roebuck Bay! 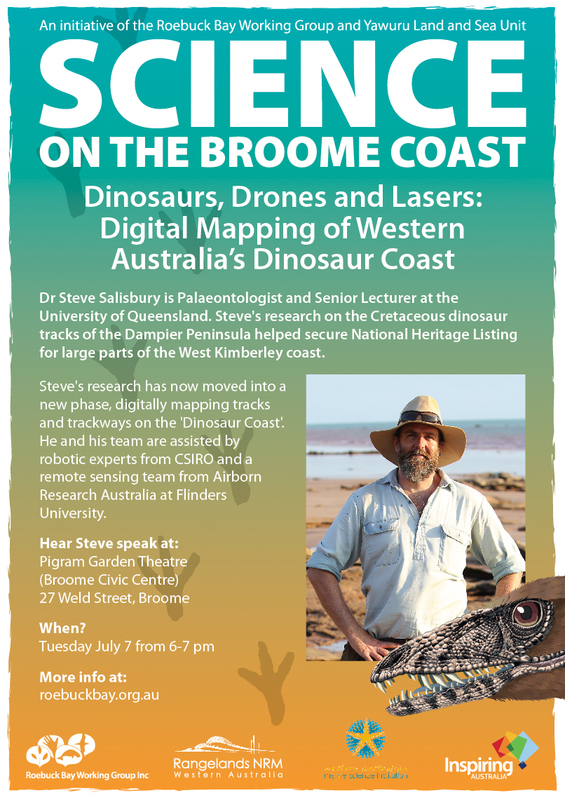 Great opportunity on July 7 to hear Palaeontologist Dr Steven Salisbury’s presentation on the Cretaceous dinosaur tracks of the Dampier Peninsula. With the help of robotic experts from CSIRO and a remote sensing team from Airborne Research Australia, Dr Salisbury and his team has been recording hundreds of tracks along the West Kimberley coastline with drones, ladar aircraft and photo imaging. Using sophisticated software, the advanced digital vision they have collected is creating three dimensional images of the tracks, which will provide an invaluable resource for conservation and research into the future. 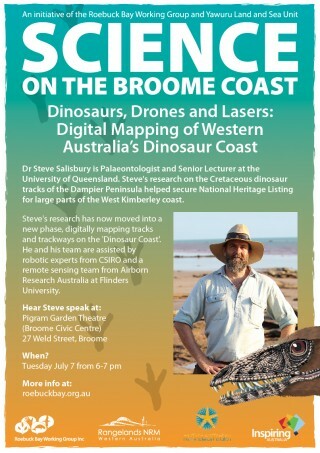 Steve will walk you in the footsteps of dinosaurs – awesome! The series is run by Roebuck Bay Working Group Inc and Yawuru Land and Sea Unit, and sponsored by Inspiring Australia, Rangelands NRM and Western Australian Marine Science Institution. 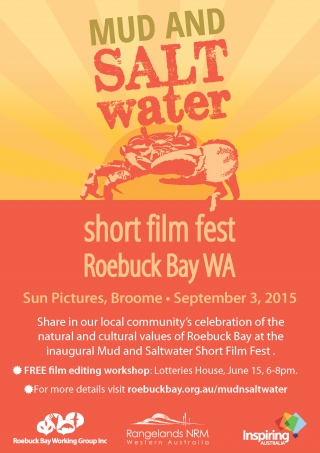 Roebuck Bay Working Group invites filmmakers of any level to submit a short film (any length to 5 minutes including credits) with a focus on Roebuck Bay. To help rec filmmakers edit their films, a FREE workshop is on June 15, 6-8pm, Lotteries House. 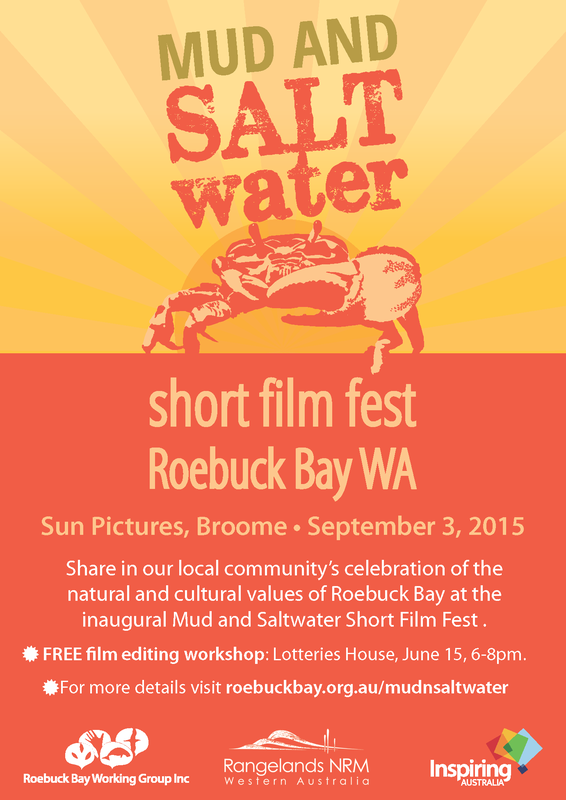 Entries close for short films on Friday July 31, 2015. 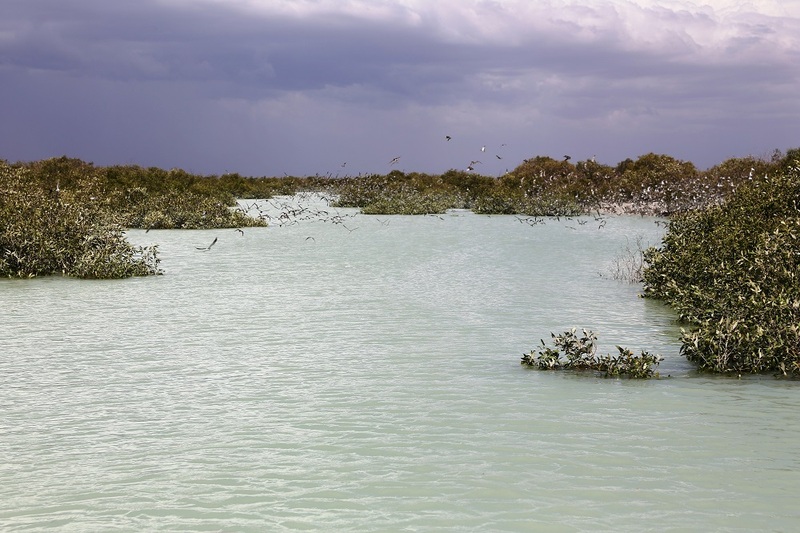 Roebuck Bay MUD & SALTwater SHORT FILM FEST is funded by Rangelands NRM through the Australian Government’s National Landcare Program, and Inspiring Australia. 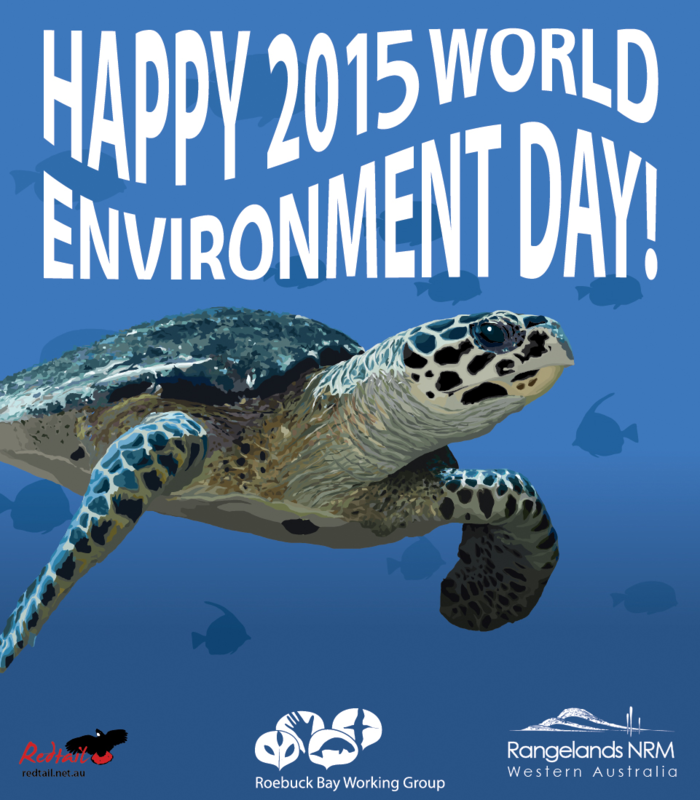 Its World Environment Day and Roebuck Bay Working Group are celebrating turtles, ancient reptiles that evolved 220 million years ago and are seen in Roebuck Bay. The Hawkesbill turtle, like all other turtles, is battling, with the world’s oceans changing drastically over the last 500 years. Two proactive actions that can help turtle survival is to plant natives (don’t need fertiliser) in coastal gardens and use cloth bags for shopping (plastics can cause ‘floating symdrome’). Thanks Ricki Coughlan for the exceptional infographic of the Hawksbill turtle (Redtail Interpretive Nature Signs). RESEARCH at Ningaloo Reef has found fish caught by fishermen as well as non-target species tend to be larger and more abundant if they reside in sanctuary zones in the region. What is even more intriguing is that little fish appear to do better with bigger fish around. 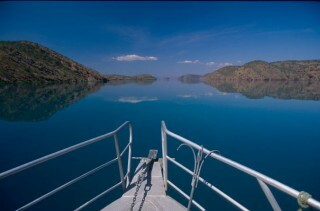 A new free app called Saltwater Tales STORIES FROM THE KIMBERLEY offers a new insight into Kimberley marine environment. The app is officially available today and the stories, photos and film footage are excellent. 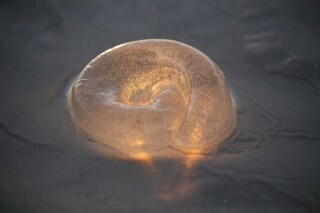 The app will help locals and visitors to the Kimberley coast to learn about the Kimberley coast its marine life. The app, developed as part of the Kimberley Science and Conservation Strategy, will better inform nature and culture-based tourism between Eighty Mile Beach and the Northern Territory border. Museums and universities have reviewed the app’s content and both Yawuru and Daambimangari people have made significant contributions.